Starting from last week, I put up on my left sidebar, under the follower and Facebook Widgets, some new features of my blog. One is What I am Reading and the other is What I last saw. What I am reading is self explanatory, I will put the covers of the books I am currently adding to my brain library. What I last saw will include, movies (cinema, or DVD), theater plays and the Opera. The book widget will likely be changing every week depending on my speed but the latter will change more often cos I watch more movies. So each Monday I will give brief reviews on the one's of last week. Last week, I finished Under the Dome by Stephen King and I also had up The Sorcerer's Apprentice and will be giving a brief write-up on both. I am currently reading The Secret Lives of Baba Segi's Wives, watch out for my review next week in addition to whatever movie I see on DVD. Coming up this week will be my thoughts on Inception, I can't wait for next Monday. Go and see it soon so we can discuss. Stephen King's Under the Dome is a killer of a book at 1074 pages. When I started it, I thought it was one for about two weeks or so and that I might have to read it alongside another book. That did not happen. 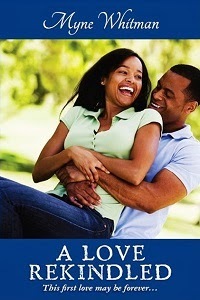 I read it like I used to read in my secondary school days when I could finish an M&B novel in 2 hours. I finished it in four days. The suspense is unyielding and will have you flipping the pages anxiously for the next event. The town of Chester's Mill, Maine, is a pretty typical-seeming small American town with a popular song that says "Everyone supports the team". This means that its 2,000 or so residents are good, honest people who genuinely care for each other and for their town. However, when a mysterious and invisible force field materializes out of nowhere, and cuts the town completely off from the rest of the world, things deteriorate quickly. If you've read Stephen King you'll know a little of what to expect. You'll still be surprised though at the depth of human wickedness. There is a message for everyone. This may be a novel, you know, fiction, but at its core is an allegory of what is happening today in the world. Who or where you are determines the meaning you'll read into it. In the villain, a confused character with a god-complex, we see how power corrupts and what the end of absolute corrupted power could be. There is also that aphorism from our great Wole Soyinka; "The man dies who keeps quiet in the face of tyranny" in those few citizens who stand against him. Other themes in the book include climate change, the moral standing of the police and military to maintain order and wage wars, among others. No matter the themes and messages you take from this book, what you'll certainly get is a rollicking if fearful(the death count is atrocious) read. 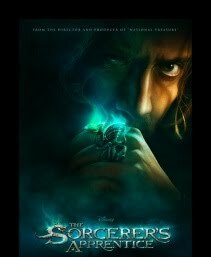 The Sorcerer's Apprentice was a lovely movie that mixes alchemy with science. It starts from the time of Merlin (for those who have read the Arthrian legends) and comes to the present day. There is a descendant of Merlin in the present day (it turns out to be a small nerdy boy who grows into a geeky physics student) who will help one of Merlin's apprentices to defeat Morgana, a bad witch challenger to Merlin. In an earlier battle, she had been imprisoned but she intends to raise a cohort when or if she is released from the Grimhold - a prison made of concentric dolls. What captured me about the movie was the great special effects - yea, I am a sucker for CGI - and the love stories included in the plot. The central plot of course is based on the age old fight of good against evil. In The Sorcerer's Apprentice, good triumphs in the end with the help of a little science, but it seems evill lives to fight another day. And of course, the geek gets the beautiful girl. These in addition to a twist give the end a sweet turn. I will certainly watch the sequel. You should see the movie too. I score it 3.5 stars.